Consumers are now being offered a gourmet selection of food-inspired beauty products. While a buffet of options is already being served across the globe, the Korean market was ahead of the game with the trend, offering many different courses to this new ‘foodmetic’ industry. The trend only seems to be becoming more popular, with some of the biggest beauty brands now manufacturing products that you’d be forgiven for thinking would look more appropriate placed on the shelves of your local supermarket. So, why exactly is the merging of these two key markets the dish of the day? According to Mintel’s revealing new report about young people, it is clear that these products are being offered in response to the complex needs and priorities of an emerging consumer group. Latest findings reveal that consumers between 16 and 20 are having strong influences on packaging trends. Labelled as the AVID generation (approaching adulthood, video driven, influencer aware, and digital natives), today’s young people can be characterized by their specific purchasing habits, which has seen the emergence of new trends, including that of foodmetics. In other words, they have a new diet that has required brands to adjust their packaging and labelling. Firstly, there is much evidence to show that the world is becoming increasingly concerned with their health, perhaps in response to the obesity crisis in the UK and the USA. This has seen products that benefit the wellbeing of consumers experience increasingly high demand. With countless superfoods being identified on an almost weekly basis, people are keen to maximise their supposed benefits by using them in other ways. For example, The Body Shop has been quick to jump on this trend and now offers many ranges that feature popular superfoods, including honey, camomile, seaweed, and various fruits. They are even offering a Fuji Green Tea™ range, a product known for being rich in antioxidants that is now being used much more frequently since research revealed its supposed link to protecting against chronic diseases. The Body Shop’s new range is just one example that demonstrates how companies are relying on the nutritional benefits of ingredients as a way of marketing to a consumer group that is recognised for being concerned with their health. Additionally, AVIDs are open about wanting guidance to help them navigate the beauty market. As a result, products that work hard to influence purchasing habits are ideal to appeal to this group of consumers. One way of achieving this is by tapping into the senses of customers, which is where the use of food-inspired packaging comes in. Interestingly, blogger Zoella released a beauty range entitled Gelato and Jelly in 2017, which features products including ‘body pudding’ and ‘shower shake’. Considering that her target audience consists almost entirely of so-called AVIDs, it seems that she is certainly convinced by these links. Similarly, American make-up brand Too Faced offers an extensive range of food-based products. Their most popular item is the Chocolate Bar eye shadow pallet, with all of the shades enriched with 100% cocoa powder. For the packaging, the company uses embossing to create a product that resembles real cubes of chocolate. 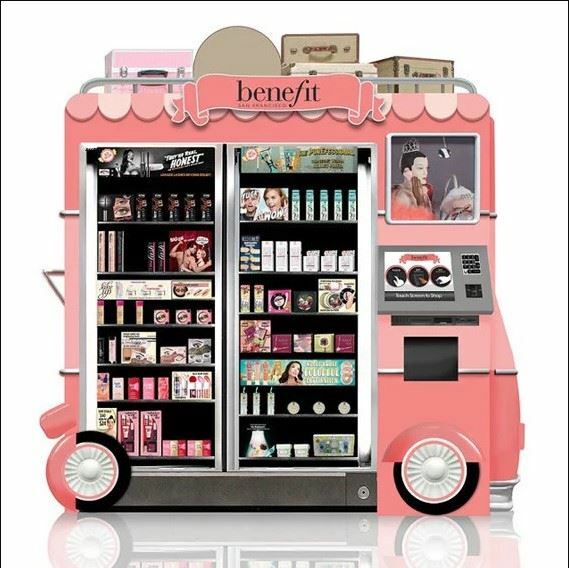 Mintel’s study also revealed that an impressive 37% of UK AVIDs are interested in using vending machines to purchase beauty products. Evidently, there is a market for quirky beauty products that overlap with elements typically associated with the food and drink market. Young consumers are concerned with the experience of their purchases, so incorporating food into packaging and products is an excellent way for firms to directly appeal to these interests. As such, suppliers need to be able to meet the needs of brand that are keen to achieve this. Rather than just farm-to-table, the pressure is now on for cosmetic products to feature natural and healthy ingredients. Young consumers and AVIDs are keen to see these products on the shelves and suppliers need to be able to offer innovative new packaging designs so that brands are able to stimulate the senses with quirky foodmetics. How can beauty companies meet green and sustainability targets? One of the major movements being seen across the packaging board and not just within the beauty industry is that of sustainability. As a well-known global beauty packaging supplier, and one of the top 20 European beauty solution suppliers, Quadpack takes sustainability very seriously. There's no doubting that Quadpack has been working hard to grow and now benefits a dynamic presence within the beauty packaging market. The company celebrates its 15 year anniversary this year and the Quadpack name is now firming established as a go-to manufacturer and supplier within the beauty industry. Sarah Eaves explains how Quadpack has achieved its well-deserved success. Medicines are designed to mend, yet online commerce allows for nightmare to become reality, as the ominous presence of falsified medicines is proving that one wrong click of the mouse can be fatal. As the number of falsified medicines on the market proliferates, and they boast ever-increasing sophistication, EU patients are, in turn, placed at greater risk. Trust in the legal supply chain is suffering severely as a result, and the European Union and World Health Organisation are poised on high alert, demonstrating, through the construction of a comprehensive and international strategy, their sensitivity to the threat, and their awareness that action from Pharma packaging manufacturers is essential. 2016 and 2017 saw numerous beauty trends involving the application of makeup. In 2016, beauty YouTubers got creative and began to incorporate every day items in their makeup routines. The trend in the beauty packaging industry of creating drip or melting effects originated in late 2015 with Kylie Jenner lip kits and has only grown more popular throughout the industry since.